Synopsis (via Goodreads): SISTERS MORIA AND ASHYN ARE THE KEEPER AND SEEKER OF EDGEWOOD. But when the emperor finally sends the girls on a mission to rescue the children - accompanied by Prince Tyrus and a small band of men - the journey proves more perilous than any of them could have imagined. With lies and unrest mounting in the empire, Moria and Ashyn will have to draw on every bit of influence and power they possess to unite their people and avert an all-out war. I know I reviewed the first book on Monday, but I am zinging through this series! I'm already halfway finished with the third and final book, Forest of Ruin. It's crazy intense and wonderfully fantastical. I am in love with the characters and the world Kelley Armstrong has created. I feel like I'm on the long and arduous journey with them, and I'm increasingly worried about their safety. They no longer know who they can trust, and they keep finding bodies that are broken, shredded, or unrecognizable. Beasts from stories and lore are appearing with more frequency, so I'm pretty confident the dismemberments and disappearances will continue. Although dark and dangerous, Armstrong has written a story that has completely captivated my mind. She has given the characters a rich history and an authenticity that makes me feel as if I've known them my entire life. I cannot wait to see how everything ends! Synopsis (via Goodreads): HBO's Emmy-winning Last Week Tonight with John Oliver presents a picture book about a Very Special boy bunny who falls in love with another boy bunny. I'm not sure if this started off as a joke to irritate the Vice President, but the story is solid and meaningful. Two boy bunnies fall in love after a day of hopping, so they decide to get married and hop together forever! It was sweet and showed that having a support system can make a huge difference. A Day in the Life of Marlon Bundo also shows what happens when a group of people stand together and demand change. 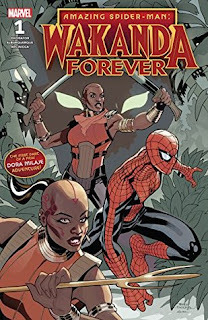 Synopsis (via Goodreads): PART ONE OF A THREE-PART STORY THAT SEES THE DORA MILAJE TEAM UP WITH THE MARVEL U! The blockbuster Black Panther film has everyone talking about Wakanda’s best warriors, the fierce Dora Milaje! Now witness the Dora outside of Wakanda – and in Spider-Man’s world! When the Dora catch wind of a Wakandan threat causing trouble in New York, they’ll leap into action – with or without their king. Don’t miss Okoye, Ayo and Aneka on a globe-trotting mission to protect the realm at any cost. WAKANDA FOREVER starts here! There were some literal laugh out loud moments in this one, and I enjoyed seeing Spider-Man's humor paired with the seriousness of the Dora Milaje. They actually complemented each other quite well! I'm not sure how the characters in this comic compared to their movie counterparts, because I still have not seen the Black Panther movie. I've tried to watch it with my husband a few times, but something always comes up. I hope we're able to get through the entire movie soon! I've only heard great things about it, and the first 25% was awesome. I'm now getting curious about this Kelley Armstrong series! 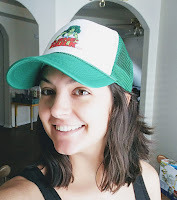 I'm seeing good things about it on a few blogs. I need to read age of legends series. its on my list. oh so many on my list! WAKANDA FOREVER!! I'm a sucker for anything Marvel Lol. I need to read anything of Armstrong’s. I’m so out of the loop! I highly recommend this one if you're okay with slower-paced books! There's plenty of action, but also lengthy descriptions and a lot of travel time. The story is phenomenal. oh nice! many different things there! LOL, Marlon Bundo sounds just lovely! I can't believe that books like this for younger readers exist. It's SO refreshing, not to mention important! I'm happy that there are more and more books encouraging love and acceptance. Being different isn't bad, just another way of life. I hope that future generations are more understanding and less judgmental. You're plowing through those Armstrong books! I just finished the last one! The audiobooks were 11-12 hours, but that didn't stop me! Who needs sleep?? Wakanda Forever sounds so good! I think my husband would love that. 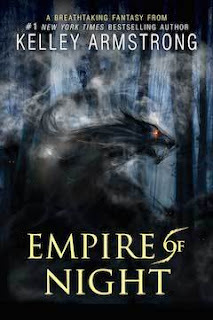 Whoa Nelly that cover for Empire of Night looks amazing! How do I not know about this series? Ack. And I like what I've read of Armstrong too! You know, I need a good fantasy series so I may have to take a hard look at these. And I had no idea about the KA series either. If you click on 'Last Week Tonight with John Oliver' in the synopsis, it'll take you to the YouTube video of him explaining the book and why it was made! Apparently, Mike Pence really does have a bunny with that name, and the "bunny" wrote a similar book about life in the White House. I stumbled across the Age of Legends series on accident, but it was exactly what I needed/wanted. Also, I really need to start that Kelley Armstrong series, it looks fabulous! And apparently I own the first book, oopsie! Great reviews! 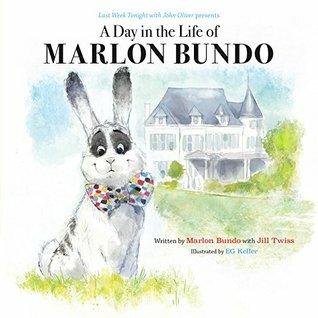 I didn't realize John Oliver managed to get his Bundo book published before Mike Pence. I wonder how that made our Vice President feel... the Stink Bug looked familiar, too. ;) Despite all of that... the book delivers a message that needs to be heard. Everyone is different in their own way, and those differences should be acknowledged and accepted. I have to get a copy of Marlon Bundo. I love the author’s humor, and I like that the money goes to charity. Great reviews!